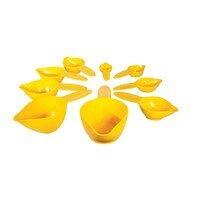 These Braille and Tactile Measuring Cups make cooking and baking easier for the blind and those with low vision. Braille and bold tactile markings on each cup show the amount, making it easy to locate the size you need. Measurements are shown in both cups and milliliters. 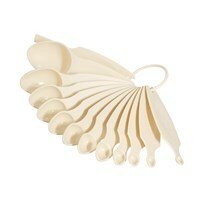 9-Piece Set: 1/8, 1/4, 1/3, 1/2, 2/3, 3/4, 1C, 1-1/2C and 2Cups. Matte outer finish and thumb depressions on extra wide handles provide an easier grip for the arthritic. Polished inner surface releases ingredients easily. 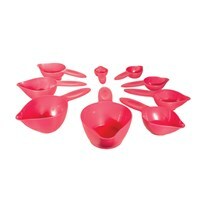 All measuring cups have flat bottoms so they rest on your counter without spilling. Made of durable plastic. 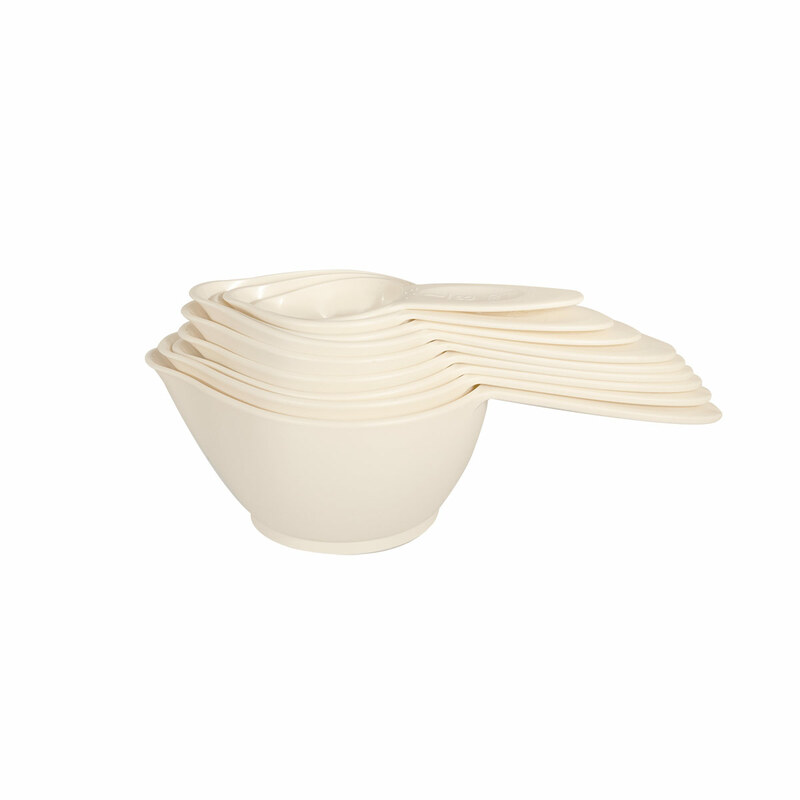 The six largest measuring cups have rubber stabilizing rings. Made in the U.S.A. Dishwasher and microwave safe.